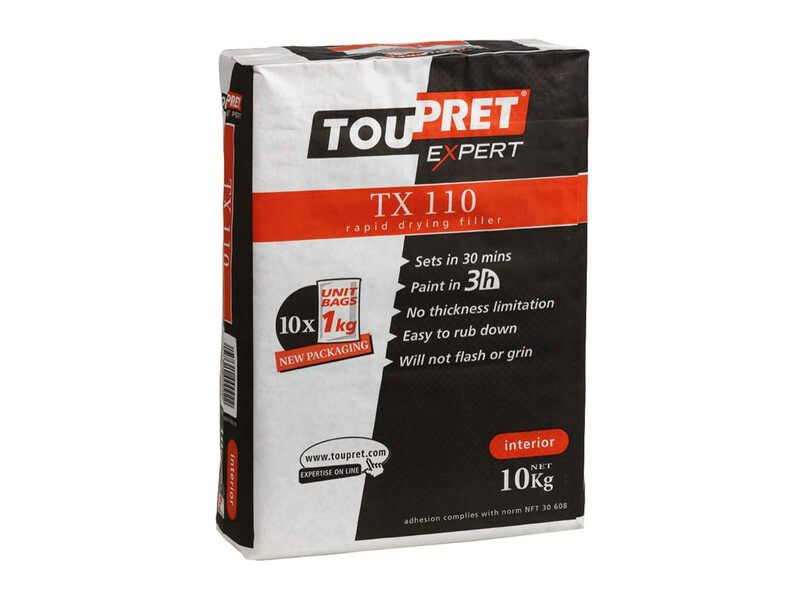 Toupret TX 110 is a high quality and fast drying specialist resin powder filler for the professional decorator and specifier. 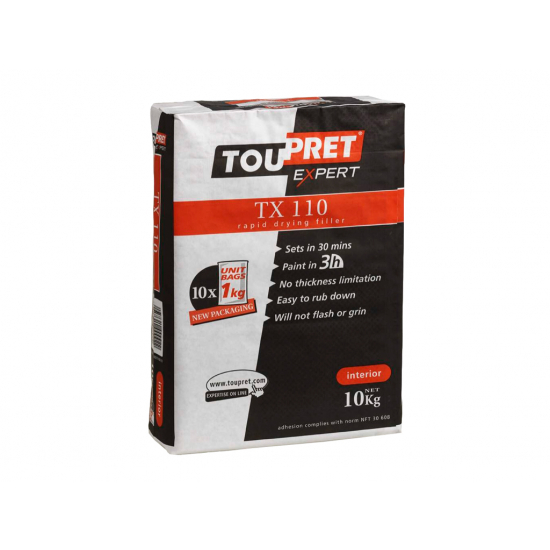 Toupret TX 110 is a high quality and fast drying specialist resin powder filler for the professional decorator and specifier. TX110 is extra white and drys in only 30 minutes and can be painted with any standard decorative coating in 3 hours. 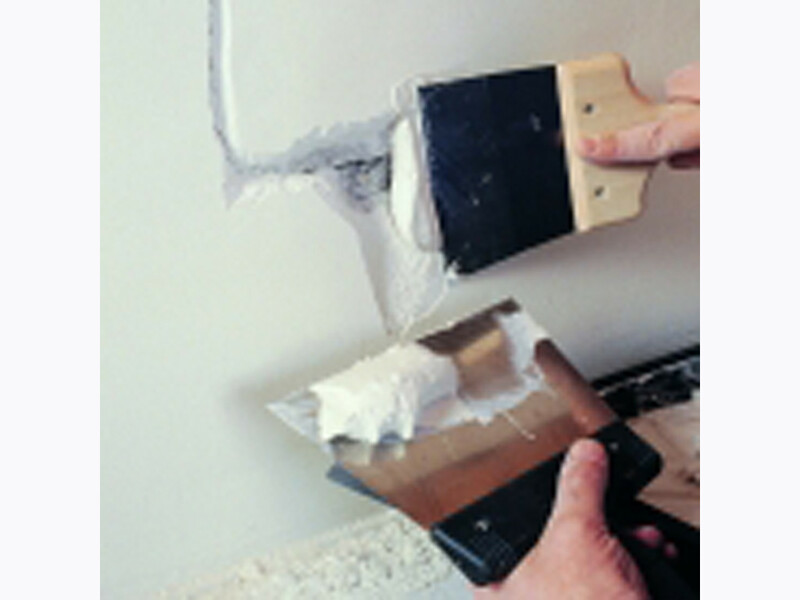 TX 110 is ideal for filling cracks, gaps and holes on most interior surfaces and has no thickness limitation. TX 110 can be used on surfaces such as; plaster, plaster boards, primed wood, cement, brick, masonry, stone and cellular concrete. TX110 can be screwed or nailed, will not shrink or crack and is easy to rub down.